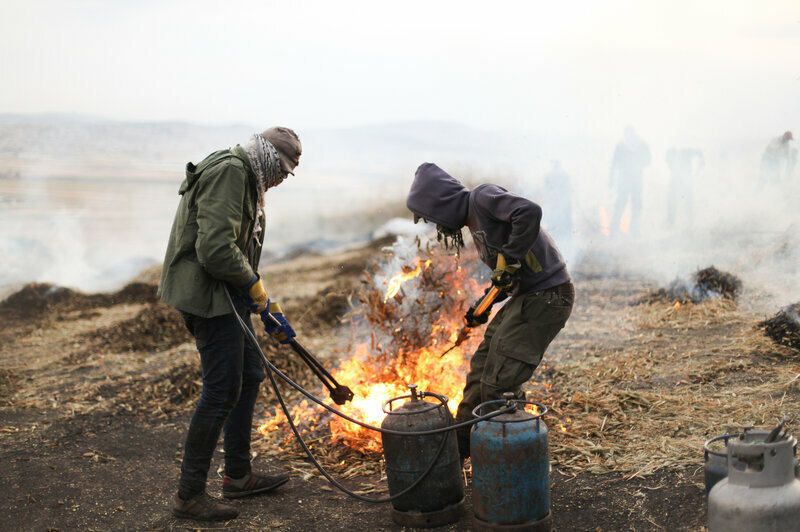 In a village outside of Jenin, in the West Bank, Palestinian farmers harvest wheat early and burn the husks to yield the smoky, nutty grain known as freekeh. In early May, Nasser Abufarha drove through the rural farmlands around Jenin in the northern West Bank and noticed the timeless features of village life. Young boys harvested cauliflower bigger than their heads, a sun-beaten old man passed on foot with a hoe propped against his shoulder and middle-aged women strolled to their modest homes on a path between waving wheat fields. But there was one new element, says Abufarha, a Palestinian-American businessman and the founder of the largest fair trade exporter for Palestinian produce. On plateaus overlooking a patchwork valley of farmland, men wrapped head to toe in flameproof clothing furiously raked piles of wheat into the air and fired propane blowtorches at the grains. They were burning the husks of wheat harvested three weeks early to yield a roasted grain called freekeh. While the chaff turns black, the young green wheat kernels inside take on a smoky, nutty flavor. Nasser Abufarha, founder of the Palestine Fair Trade Association, said he is planning to roll out a freekeh product to the American market. Abufarha says freekeh is far more profitable for small-scale farmers to produce than ripe wheat. Freekeh is one of the Middle East's famed "ancient grains" — it's been cultivated in the region for more than four millennia. The word comes from the Arabic word meaning "to rub," which is how farmers stripped away the burnt husk from the green grain in the age before heavy machinery combines. Traditionally, Palestinians have used it to thicken soups eaten on Ramadan and as stuffing for chickens. But in the last several decades, many Palestinians opted for cheaper, imported rice for main dishes. Now, Abufarha says this version of wheat is coming back. Palestinian chefs are placing freekeh prominently on their menus. Home cooks are using freekeh to make pillowy pilafs and earthy stuffed zucchini. 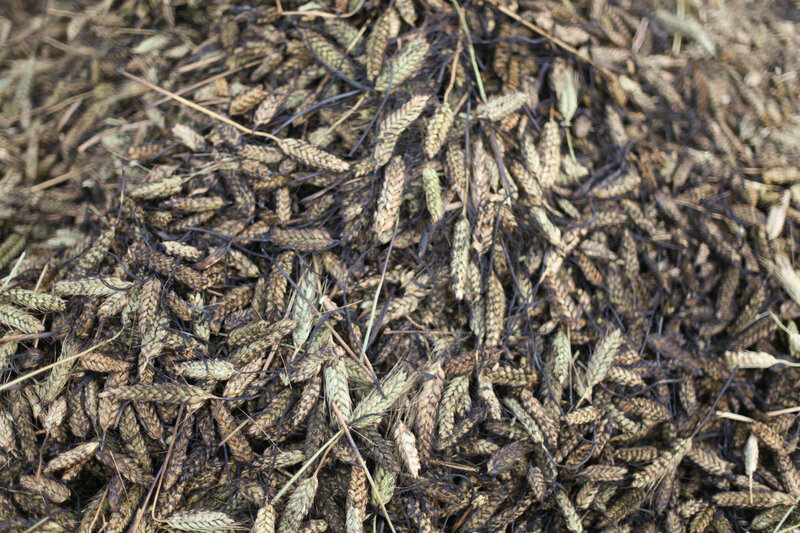 The result is a buzzing harvest season, with many more wheat burning sites all around Jenin. The renewed interest among Palestinians coincides with rising enthusiasm for the grain from the U.S., Europe and Australia, where nutritionists point to its high protein and fiber content — compared to brown rice — and lower calorie count — compared to quinoa. Among Palestinians, part of the attraction is nutrition, but it's also about pride in local agriculture. Abufarha says that in the 1940s, Palestinians began eating rice instead of locally grown crops. Freekeh was pushed aside, as was its cousin bulgur, made from the kernels of wheat harvested when golden. Rice, easier to cook than local grains, reigned supreme. Interest in the protein and fiber-rich grain has spiked in the U.S. and Europe in recent years. In the West Bank, Palestinians worried about their health and eager to return to heritage cooking have nearly doubled local demand for the wholesome grain as well. "There is saying in Palestinian tradition: 'The glory is to the rice and the bulgur buried itself,' " Abufarha says. Until ten years ago, Abufarha says he would see only a handful of farmers harvesting their grain early for the freekeh harvest in the springtime. Now, things are changing. This year Palestinian farmers produced 3,500 tons of freekeh, up from about 2,000 tons last year, he says. Abufarha, whose Palestine Fair Trade Association focuses mostly on exporting olive oil, said he is exploring packaging and exporting freekeh as well. 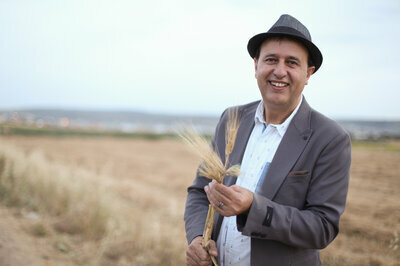 Khaled Shafi Jalama owns a freekeh-cleaning factory in Deir Gazala village. He invested in heavy machinery three years ago to dry the grains and clean them of any extra dirt or debris. He says orders are up, mostly from Palestinian customers, and he plans to expand his production next year. Palestinian chefs have taken notice of the higher public interest in freekeh. Chef Johnny Goric of East Jerusalem's Legacy Hotel says in the last two years he has added vegetables stuffed with freekeh to his menu, and he is planning to feature a freekeh risotto with arugula and Parmesan cheese next month. The young wheat imparts a deeper flavor to the dishes, he says. 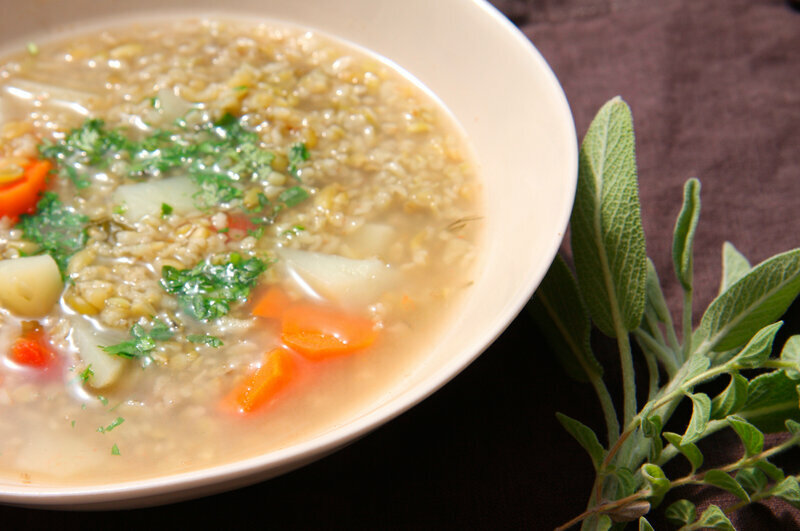 Traditionally, Palestinians have used freekeh to thicken soups eaten on Ramadan and as a stuffing for chickens. "We used to cook mostly European food," says Goric, who is also a judge on the Palestinian Masterchef TV reality cooking show. "Now we are running back to our heritage." Palestinian anthropologist Ali Qleibo says that even among those Palestinians with limited land, freekeh has become a choice crop. He says families plant enough to provide for a year's worth of freekeh soups. "This is the new health craze," Qleibo says. "I have many friends with land and they plant their own freekeh, so it's clean and their own."